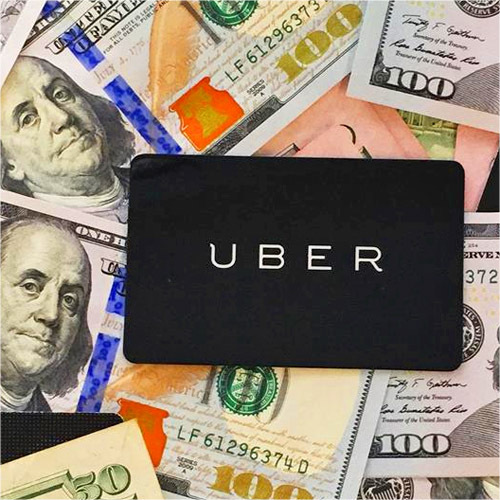 SAN FRANCISCO (CN) – A federal judge advanced a proposed class action accusing Uber of stiffing drivers on fares using its new “upfront” pricing model, adding another driver-initiated suit to the long roster of complaints bombarding the ride-hailing company. North Carolina driver Martin Dulberg claims in a lawsuit filed in February that Uber stopped giving drivers the 80 percent of fares it had promised them in a 2015 driver contract when it switched to an upfront pricing model the following year. The 2016 pricing model calculates fares before a ride so that riders know beforehand how much they will be charged. Uber previously calculated a rider’s fare at the end of the ride based on actual time and distance driven. According to Dulberg, the upfront pricing model uses “aggressive” time and distance estimates to calculate fares, often resulting in fares that are higher than what a passenger would have paid under the old model. Dulberg claims Uber isn’t giving drivers the higher payments they’re owed for the higher upfront fares. Instead, he says, Uber collects the upfront fares and then performs a separate calculation after the ride is over based on actual time and distance driven. Uber then pays drivers 80 percent of that lower fare, so drivers get less than 80 percent of the rider-assessed fare promised to them under their contract. However, Uber contends drivers are paid based on actual time and distance driven, and not on the fare a rider pays. It says that that payment scheme is consistent with the contract, and that Dulberg has misinterpreted it. Dulberg, meanwhile, says the contract doesn’t permit Uber to charge customers one fare and then calculate a second fare to pay drivers, because the contract references only one fare calculation on which both figures must be based. Alsup agreed, referencing the agreement’s single fare calculation multiple times in his 10-page order. “The bottom line is that, whatever method Uber chooses, it must apply that same method to determine time and distance amounts for both charging its passengers and remitting payments to its drivers – or so the amended complaint plausibly alleges,” he wrote. Alsup also agreed with Dulberg’s contention that Uber’s pricing model shortchanges drivers while the company pockets the difference. Maslo, who is with Napoli Shkolnik in New York, said he is optimistic about a victory. “This case all comes down to the correct interpretation of the agreement. And I firmly believe that ours is the only correct reading,” he said. Dulberg is also represented by Andrew Dressel of Napoli Shkolnik in New York. Uber is represented by Jonanthan Bass with Coblentz Patch Duffy & Bass in San Francisco. He could not be reached for comment. Uber also did return a request seeking comment.